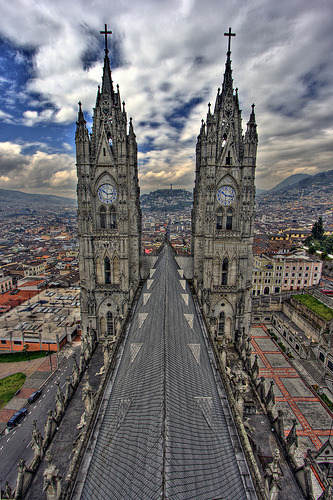 photo of the day: quito, ecuador. Quito, Ecuador is a central tourist hub in South America, behind other cities such as Rio de Janeiro, Brazil and Buenos Aires, Argentina. It has a population of about thirteen million people, and uses the American dollar (along with the rest of Ecuador) as its official currency.